39594 RA5648.jpg 500X638\RA5648.jpg 39596 RA5648_1.jpg 500X638\RA5648_1.jpg Send A Hint! Product Description: less text There is nothing worse than feeling under the weather, you just want to sleep and eat candy! 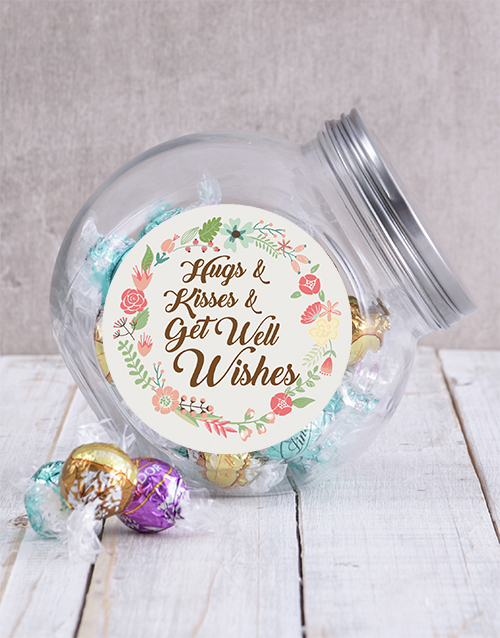 Spoil a loved one who is feeling blue with this Get Well Candy Jar. 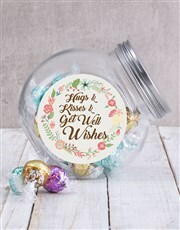 A cute candy jar is filled with either delicious Sally Williams Nougat OR Lindt Truffles (Almond and Coconut) and the candy jar is decorated with a sticker, which says 'Hugs and kisses. Get Well Wishes'. Send with NetFlorist and they can get snacking on Nougat and feel better. 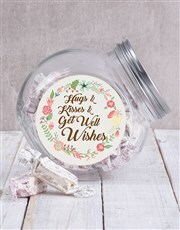 Get this Get Well Candy Jar delivered with NetFlorist.